I've received a threat of legal actions from Prescott Papers for "False and defamatory publications" and "deliberate false advertising campaign designed to mislead consumers". Therefore, I explicitly state that all the information expressed on this page conveys my personal experience and opinion, protected by the First Amendment of the US Constitution, and should not be seen as guided to mislead anyone. I've requested more information from them to find out which parts of this review they find misleading, and will update the article as the info comes in. 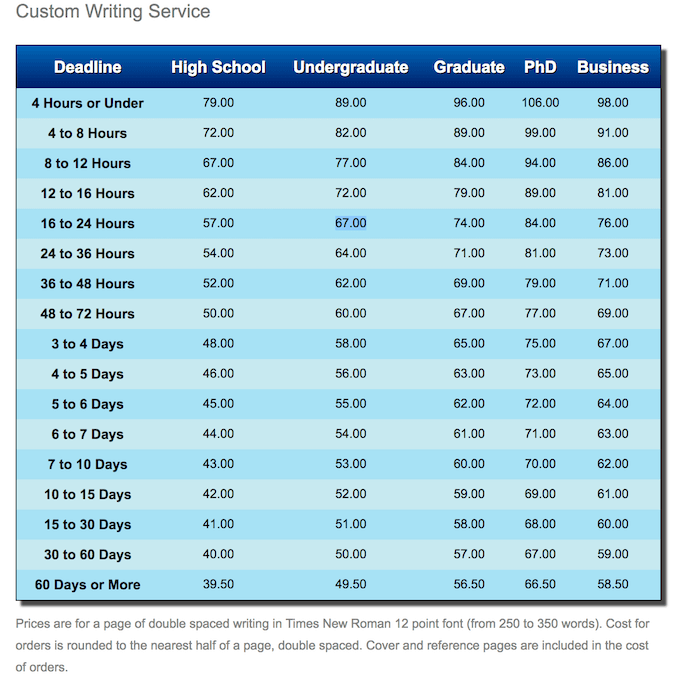 PrescottPapers.com offers writing services on different subjects depending on the client's needs. The website is owned by Greg Prescott who managed to get quite the online reputation on Reddit and other review sites. Besides the scandalous etiquette they managed to put on themselves, their service is quite good and standard in the essay writing business. You've got the price calculator, the offline and occasional online support, the quality, the delivery, and the payment methods. They also offer a service called Cheat Turnitin which basically transforms plagiarized papers into papers that can pass the Turnitin test. This service has received a moderate amount of popularity among students. The team over at PrescottPapers.com moderates a bunch of subreddits so making an image for themselves is easier than usual. The fact that they post fake reviews in order to gain popularity has been suspected for quite some time. 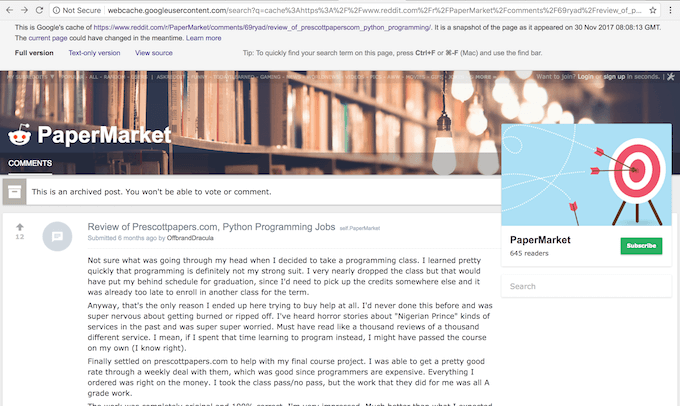 It's likely that some PrescottPapers review sites contain fake reviews written by their own employees. Prices are extremely high. The average market price for this kind of service is around $30, while PrescottPapers.com offers the service for $60+ if you want your paper delivered in a reasonable time. 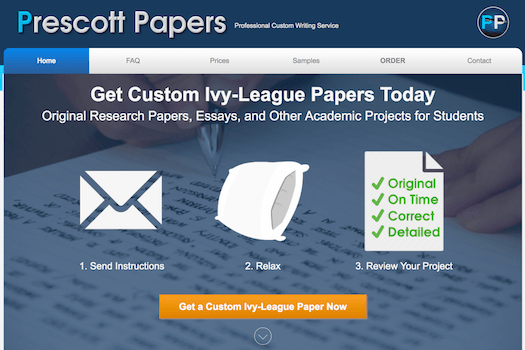 I failed in finding any discounts at PrescottPapers website. Seems a bit greedy. Their quality is highly appraised by students who love using this service. They offer full support for revisions and edits, although it's pretty strict. You may request a revision within 10 days of the deadline and only if the request is within the scope of the original instructions. Usually, the revision process takes 3 days which isn't a good thing for many students. Also, editing and revisions are billed separately for large projects. I also had a talk with one of their customers and he said, "They're clearly suffering from grammar/structure/meaningful writing. It's pretty blatant the writers aren't native non speakers, too." "All projects are handled by elite U.S. writers: PhDs, industry experts, and ivy-league graduates." AHA! Payment is easily made through PayPal or using a credit or debit card. They support most cards, no matter if Visa, MasterCard, or any other. You pay after you've filled in all the needed information. When it comes to what they guarantee, 100% plagiarism free original works is first on the list. 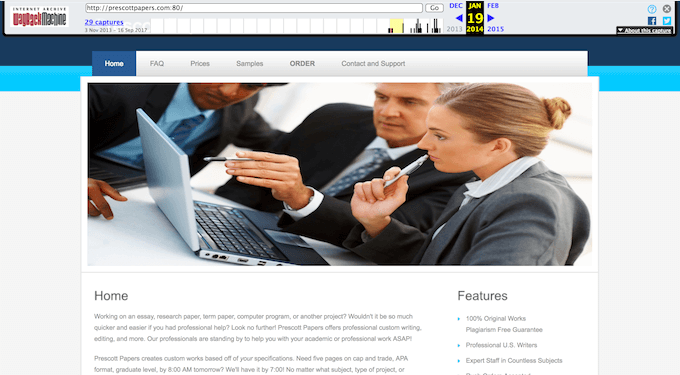 Besides that, they also promise quality papers and revisions, a timely delivery, and confidentiality. While going through their FAQ you can clearly notice the absence of money back support. This is a worrying considering the amount of money that is paid for the paper and the importance of it in most cases. Their online reputation is simply confusing and it goes both ways. Let me just show a few cases which give cause for concern. According to Web Archive (http://web.archive.org/web/*/prescottpapers.com), their website operates since January 2014. But reviews at Sitejabber and TrustPilot only started to appear from 2016 and 2017. They are solely positive. That's just not the way life works. After I published this article, 3 out of 4 reviews magically disappeared. These reviews were positive. 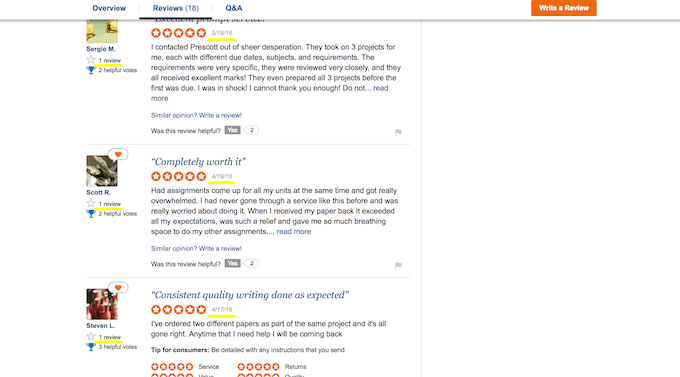 Now, the question then arises: why did users delete their reviews and did it almost simultaneously? It's simple, guys. These were not real reviews and users. I'm fairly certain PrescottPapers.com is a gang of liars. By the way, I made screenshots from Google's cache and you can see them below. On this occasion, I wish to quote Jim Morrison: "Whoever controls the media controls the mind". There are lots of signs that they are trying to create an image for themselves by posting these fake reviews, but there are also many reviews that seem real, and are coming from people with reputation. 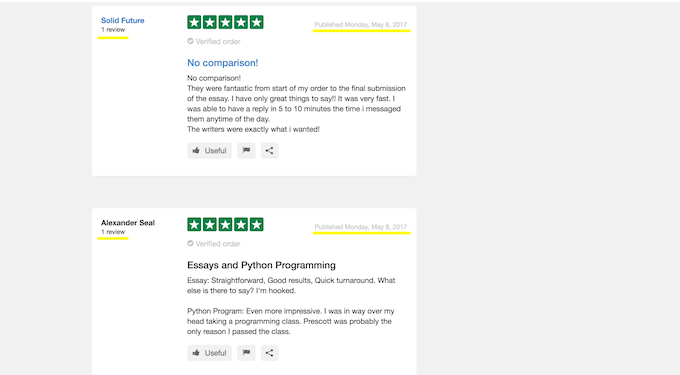 That means there's a probability that they have started off with some fake reviews but then since the quality of their service is good, students started saying good things about them too. 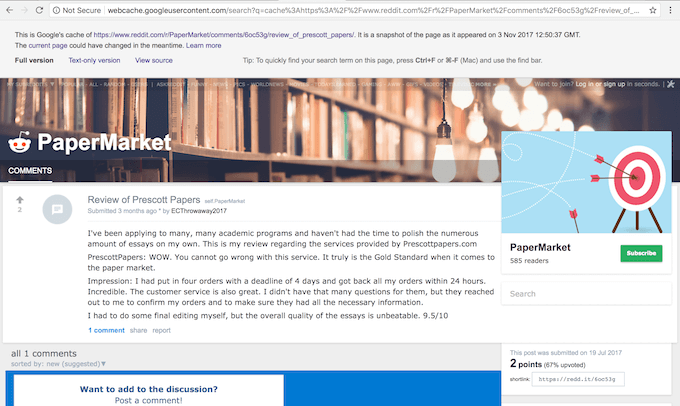 Do you know why it is impossible to find reviews about PrescottPapers.com on the Internet except for those that were created by their marketing team? 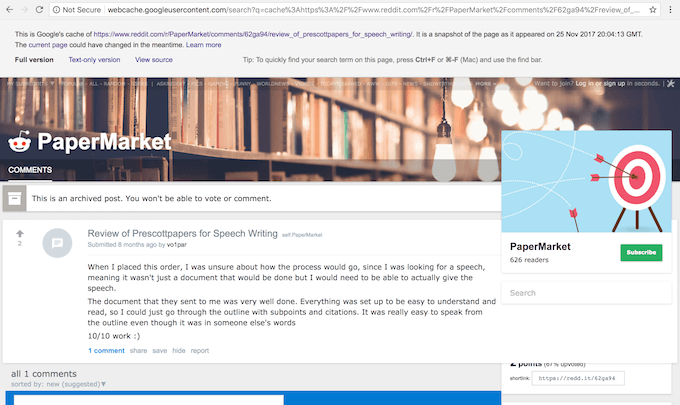 Because PrescottPapers.com threatens website owners (myself included) to commence a lawsuit for the purpose of stopping continued defamatory statements and false advertising. And it works. I noticed at least 3 sites that have recently deleted their reviews. Oh, my God, this is so fucked up. Quality. Quality is their biggest pro, as many of the reviews suggest. Students claim there's no mistakes, no weirdly formatted sentences, and no grammar issues. However, one of the Reddit users said their writers are clearly non-native and there are issues with grammar and structure. Countless subjects. Another thing that should be appreciated is that they hired specialty writers so no subject is left uncovered. Even people with not so common backgrounds can enjoy this service. Pricing. The price is high considering everything they offer. The quality is good, yes, but not really justifiable by the price. Besides, there's no discounts, ever. Pushy reputation management. Their online reputation is also something to look out for before ordering from them. They represent the most controversial writing service out there. The way they manage online reputation is very aggressive and risky. Instant help. Another thing that may leave you disappointed is the lack of 24 hours live chat. Sometimes their staff are away from chat. The main option available is offline support which is good, but not instant. Bad service. Users say they have unprofessional customer service and often fail deadlines. In contrast to essay services, it's kind of artisanal production. I cannot recommend their service simply because I didn't make an order. Prices are too high for me and I can get the same quality for a lesser price, somewhere else. Generally, they are legit, even though some bad cases happened in the past. Their marketing team is smart and gets the job done. They are moderators at many subreddits so they can easily make or break their image. Some Prescott Papers reviews may be faked, but the majority claim their service is actually that good.